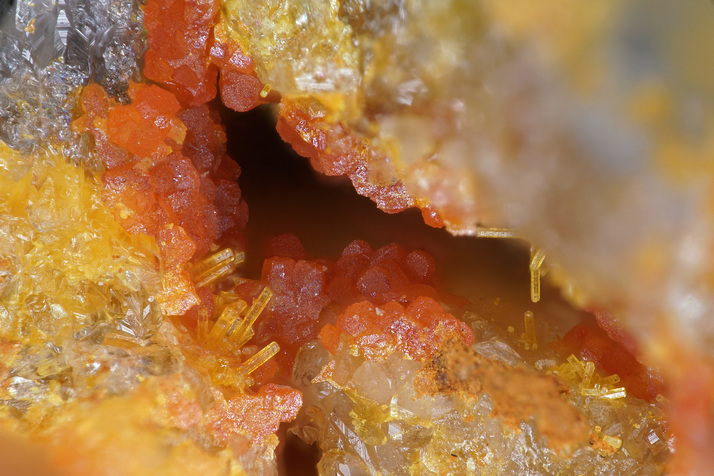 Embreyite: Mineral information, data and localities. Named in honor of Peter Godwin Embrey (1929-2010), British Museum. His achievements in the science included the reprint of Greg and Lettsom's British Mineralogy in 1977, and Minerals of Cornwall and Devon published in 1987. May be confused with descloizite. Williams, S. A. 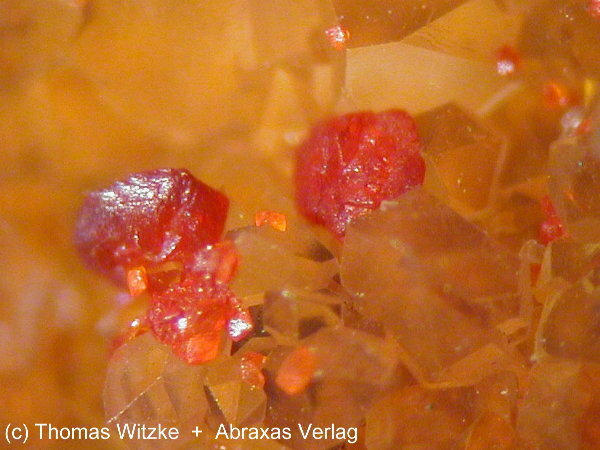 (1972) Embreyite, a new mineral from Berezov, Siberia. Mineralogical Magazine: 38: 790-793. Vauquelinite 7 photos of Embreyite associated with Vauquelinite on mindat.org. Crocoite 6 photos of Embreyite associated with Crocoite on mindat.org. Mimetite 2 photos of Embreyite associated with Mimetite on mindat.org. Cerussite 1 photo of Embreyite associated with Cerussite on mindat.org. Bindheimite 1 photo of Embreyite associated with Bindheimite on mindat.org. 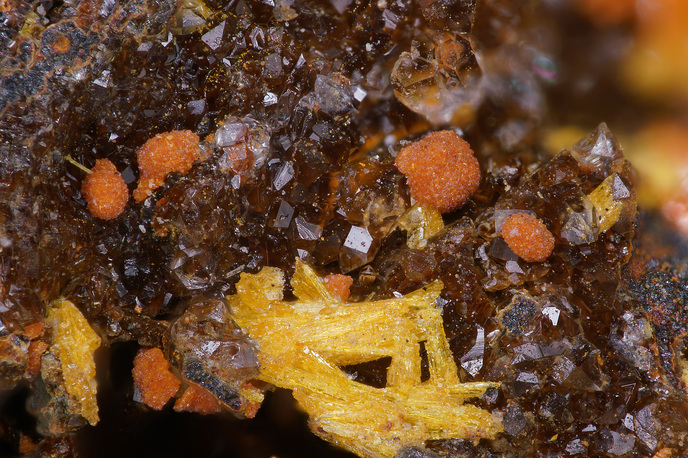 Pyromorphite 1 photo of Embreyite associated with Pyromorphite on mindat.org. 43.3.2.2 Cassedanneite Pb5(CrO4)2(VO4)2 · H2O Mon. Fleisher, M. (1973) New Mineral Names - Embreyite. 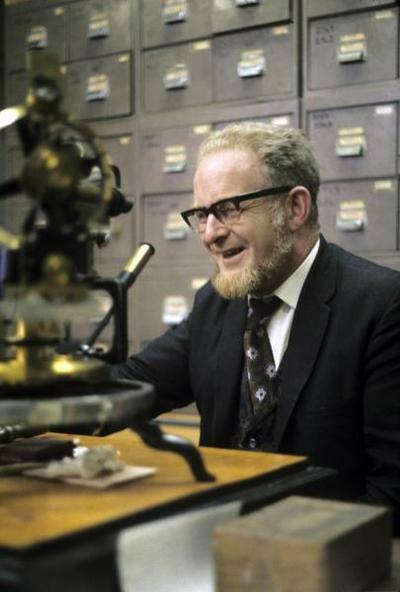 American Mineralogist: 58: 806. Kovrugin, V.M., Siidra, O.I., Pekov, I.V., Chukanov, N.V., Khanin, D.A. (2018) Embreyite: structure determination, chemical formula. Mineralogical Magazine: 82: 275-290. Cuchet, S., Ansermet S. & Meisser, N. (2008) L'embreyite et l'hisingerite du filon du Cantonnier, Nontron, Dordogne (France), Le Règne Minéral, 84, 23-24. Lapis, 16 (9), 13-26; Witzke, T. (1993): Neufunde aus Sachsen. Lapis, 18 (12), 15. Southwood, M. J., & Viljoen, E. A. (1986). Lead chromate minerals from the Argent lead− silver mine, Transvaal, South Africa: crocoite, vauquelinite, and a possible second occurrence of embreyite. Mineralogical Magazine, 50(4), 728-730. Möckel, Steffen (2018), comfirmation via XRD.